May you have abundant blessings to be thankful for this Thanksgiving season. I know I don't always take the time to be grateful for all that I have been blessed with. 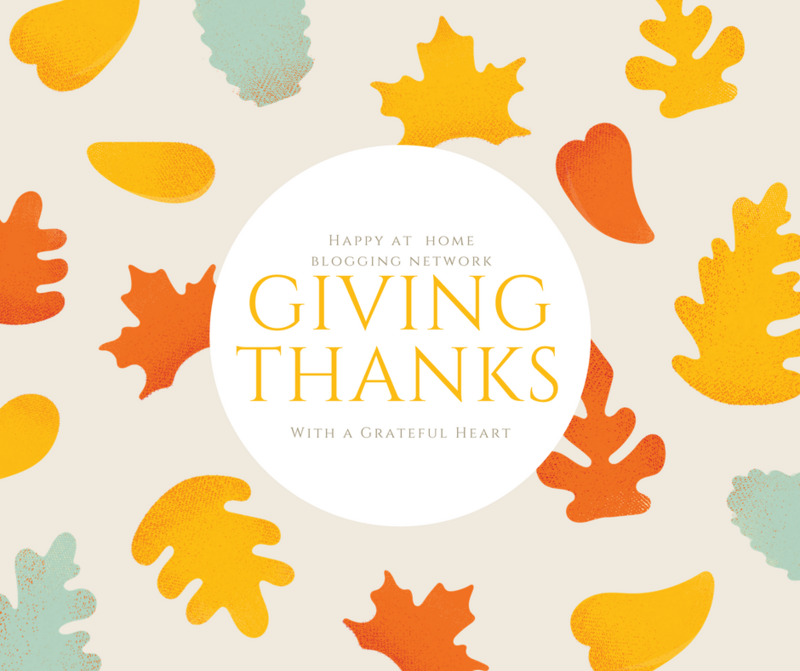 My friends at Happy at Home Blogging Network are focused on gratitude and acknowledging their blessings and I have learned how to do this much better by being in their group. My niche is different than theirs, but they still allow me to join them! One of the ways I wanted to share my gratitude with my readers is by sharing this idea I had. It is a way to share the giving of thanks in prayer for your Thanksgiving. Print the set of cards below on a pretty piece of cardstock. The print is in black and white so you can color and personalize it the way you want, thinking about YOUR own blessings! Once you have colored them, place them randomly on the place settings on your table or hand them to the person you want to read that card. You might want to add a number for easy tracking, like I did. When it is time to pray, explain the process like this: Today we will pray as friends and family and share the opportunity with one another. The person with #1 will go first, then #2 and #3 and so on. There are eight sections total. Let's begin! Then the person with the #1 card reads what is on his/her card, and so on. At the end, you can thank everyone who read, and invite everyone to begin eating! For larger groups, consider making a set for each table and having them pray as a table group. I hope you like my prayer card idea and if you choose to use it, I would love to have you come back here and tell me how it went! 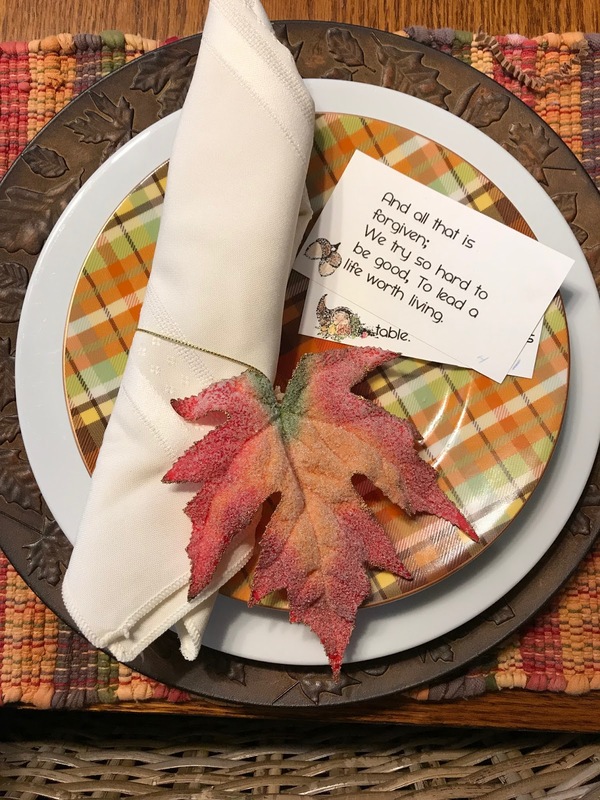 Please check out these other blessings posts and have a wonderful, heartfelt and joyous Thanksgiving.